The Employers Insurance Company of Wausau and Wausau Underwriters Insurance Company are two of the three Wausau companies that were taken over in 2002, becoming wholly owned subsidiaries of the Liberty Mutual Group based in Boston, Massachusetts. Employers Insurance was the oldest of the Wausau companies rooted in the small town of Wausau, Wisconsin. Employers Insurance was founded in 1911 to provide worker’s compensation insurance coverage, a new benefit for workers in the state of Wisconsin. The Wausau Companies provide commercial insurance services for general liability coverage, commercial automobile and worker’s compensation coverage. The company also provides management services to businesses for claims and loss prevention. In 2005, nearly 72% of the Wausau Companies’ $500 million in revenues came from worker’s compensation policies. Of these policies, 13% originated in Wisconsin alone. Liberty Life Assurance Company of Boston, Liberty Life, is a member of the Liberty Mutual Group. It was established in 1964 to manage Liberty’s national network of agents and sales professionals. Liberty Life is rated as excellent, A, by A.M. Best and A-, strong, by Standard and Poor’s. A. M. Best also rates the Liberty Mutual Group as excellent, A, and Standard and Poor’s rating once again is strong, A-. The Liberty Mutual home page provides a wide variety of interactive resources for both active policyholders and visitors to the site. Policyholders may log in from the home page in order to pay their premiums, file, or keep track of an on-going claim, and manage their policies. Links to all of Liberty’s individual insurance programs are readily available as well as many educational and reference materials. Calculators and other tools may be accessed to assist consumers looking to Liberty to meet their family or personal insurance needs. Tools include personal experience videos featuring real Liberty Mutual policyholders. A link to the Liberty Mutual quotation page is also easily found on the home page. 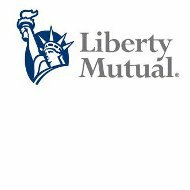 Liberty Mutual aggressively markets life, home and automobile insurance products. Auto insurance products include car and motorcycle coverage and personal liability. Liberty Mutual sponsors special programs for new teen drivers and gives special consideration to seniors, encouraging all to be safe drivers. Liberty also offers multiple policy discounts. Policy options, riders, and full coverage details are available on their auto insurance page. A new Liberty Mutual program is available and designed to protect policyholders from the negative effects of identity theft. This coverage may be added on to any home, renters, or condominium policy. Quotes may be obtained on line or you may call toll free, 888-498-2145. Liberty Mutual offers traditional term life and permanent life insurance options. Annuities are also offered with the main choices being a single premium annuity or a flexible payment annuity. Both programs offer the policyholder deferred taxation on income earned from these policies. Among the many resources and tools available to Liberty Mutual customers are handy I Phone and Android Phone applications that may be downloaded free of charge from the Liberty Mutual website. Through the Liberty Mutual quotation page, a fast, free, and secure rate quote may be obtained in just a few short minutes. Entering a zip code will take a visitor to a brief questionnaire where several items of personal information must be provided to complete the quotation process. Each quote is tailored for a specific geographic locale. Quotes are available for home, auto, renters, and condominium insurance products. Other options through the Liberty Mutual help center include chatting with a representative on line, requesting a call back or contact information for a Liberty Mutual agent in your area. The Liberty Mutual Group also markets business insurance products from small to large sized businesses. These products include surety and bonding, group benefits and specialty lines. Platinum Underwriters Health Insurance Inc.